I have had an old (turns out really old) down comforter floating around my house for a while. I use it when it gets really cold, as one of the many layers on my bed. It is white, has no cover, and is a little funny looking, with rubberbands tying up holes here and there. I guess that it hasn’t really been my favorite blanket to use. Swati brought me some beautiful batik fabric from Cambodia (originally frim Indonesia) this fall, and I spread the piece out on my bed a few weeks ago, and it was a nice bright change for the room. 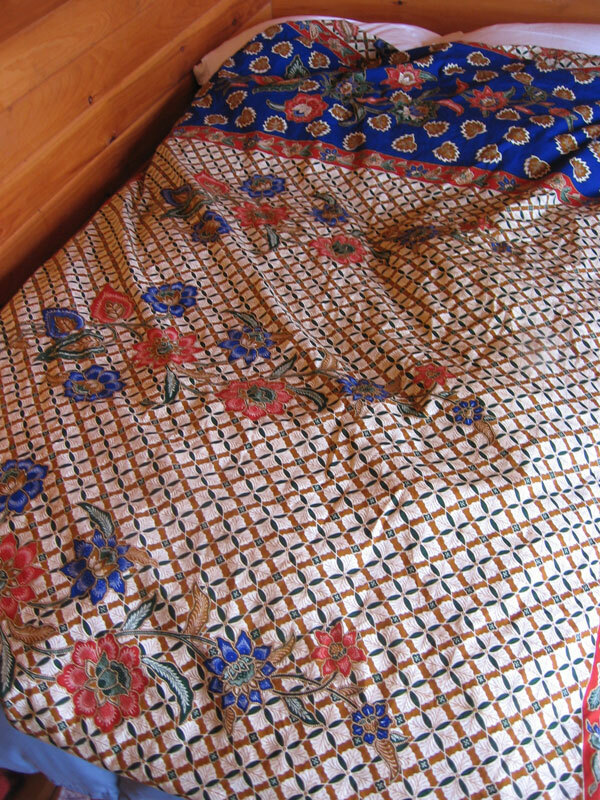 I asked for a second piece of fabric from Swati, and sewed them together to make a nice little reversible coverlet for the comforter. 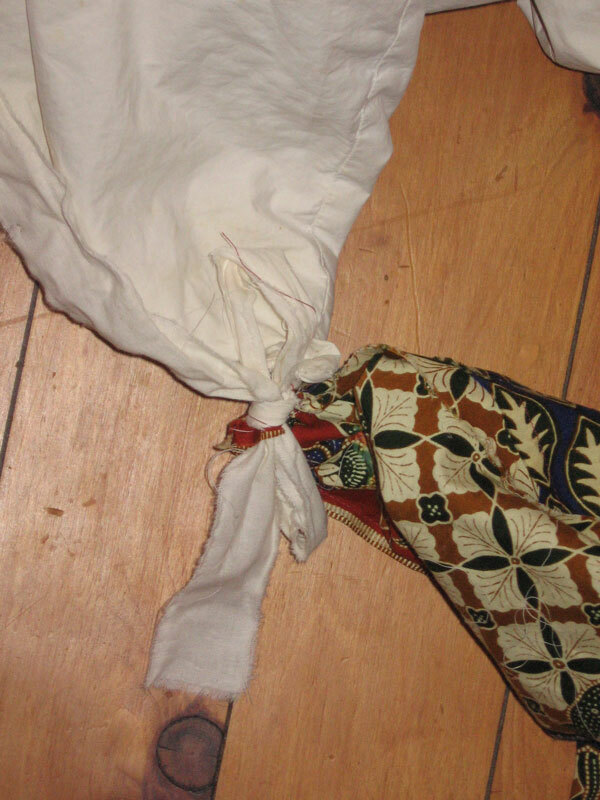 All I did to make the cover was to sew the two rectangles of fabric together. That is it. 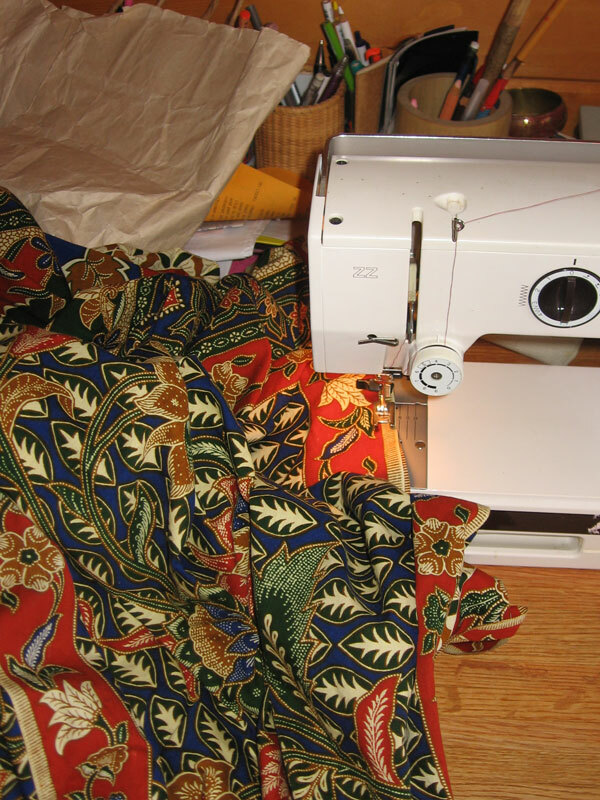 It took about 30 minutes to sew and adjust and sew, to complete the project. To keep the comforter from moving around all over the place I sewed ties onto the comforter and the cover, on all 4 corners.I attached the 4 corners before I stuffed the comforter into the opening at the top. The finished product isn’t particularly big, and has lumps here and there, but it is bright and cozy, and makes me happy. A quick fix for a sunless day (or week…). 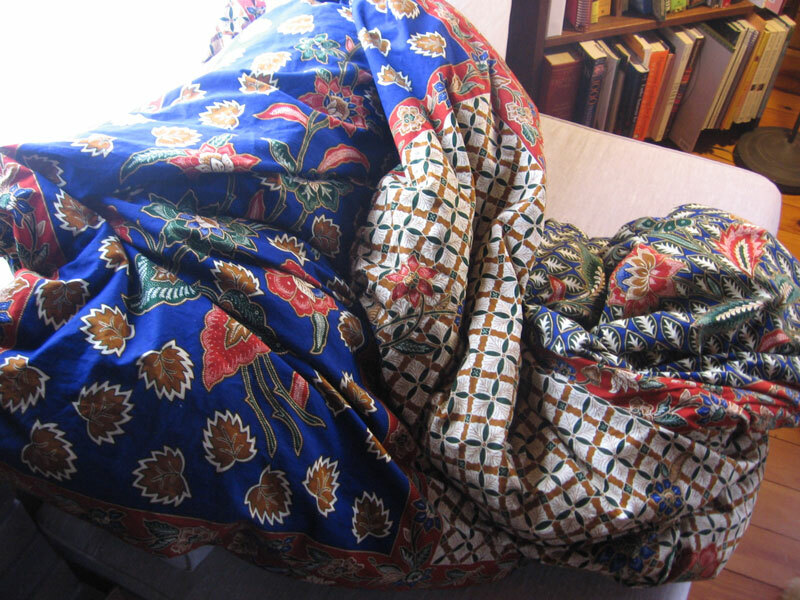 i was just noticing that my comforter is in need of a cover…. 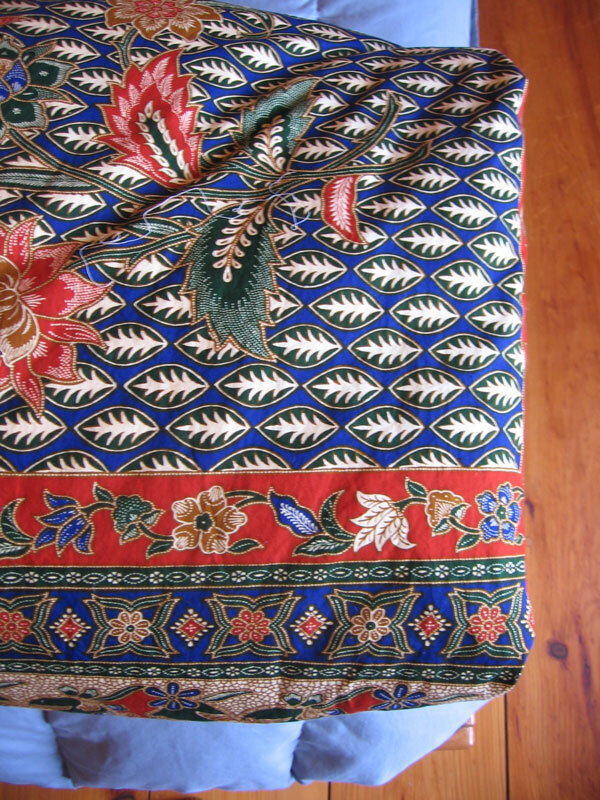 Does Swati have any more batik fabric? This is such a great idea!